If you love the excitement of the big screen, enjoy the latest blockbuster releases or maybe mind-expanding foreign films that puzzle and amaze, then this event is for you! Johnny Depp and Benedict Cumberbatch star in an engrossing true-life crime thriller. 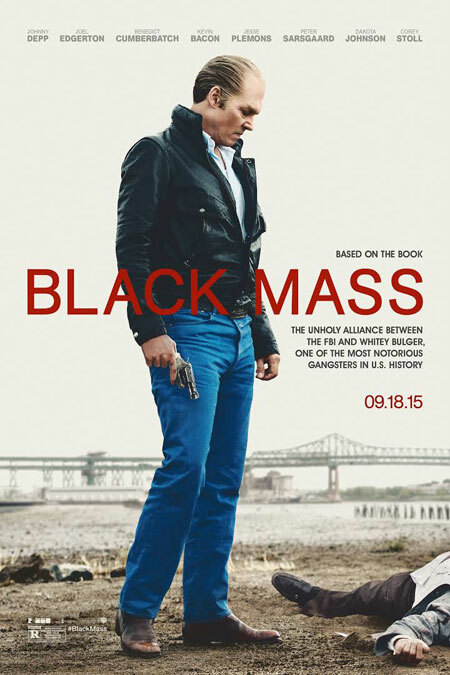 As leader of the Winter Hill Gang, ruthless Irish-American mobster James 'Whitey' Bulger (Johnny Depp) controls the streets of early 70s South Boston. But the Angiulo family from the north of the city are looking to muscle in on his territory. Whitey's childhood friend, FBI agent John Connolly (Joel Edgerton), is under pressure to nail the Angiulos. He covertly offers his brutal underworld chum immunity from prosecution in return for turning informant. With Whitey's powerful state senator brother (Benedict Cumberbatch) turning a blind eye, an extraordinary crimewave is unleashed. Based on an incredible true story that also partially inspired Scorsese's The Departed, this taut and gripping crime thriller boasts a compelling performance by Johnny Depp as one of America's most notorious gangsters. Crazy Heart director Scott Cooper also gets outstanding, nuanced performances out of Joel Edgerton and Benedict Cumberbatch.